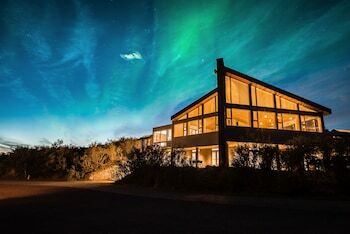 When you stay at Hotel Husafell in Borgarnes, you'll be next to a golf course, you'll be a 7-minute drive from Hraunfossar. Featured amenities include dry cleaning/laundry services, a 24-hour front desk, and luggage storage. Free self parking is available onsite. With a stay at Guesthouse Nonni, you'll be centrally located in Hella, within a 15-minute drive of Hella Golf Course and Lava Centre. Free self parking is available onsite. When you stay at Guesthouse Hamar in Heimaey, you'll be 13 minutes by foot from Heimaklettur. The front desk is staffed during limited hours. Free self parking is available onsite. When you stay at Arbol Guest House in Husavik, you'll be next to a golf course and 3 minutes by foot from Husavik Harbour. Free self parking is available onsite.